I was wondering if this is something worth sharing and have decided that it is, simply for the sake of this being “off the beaten track” rather than a standard American bar kind of thing. 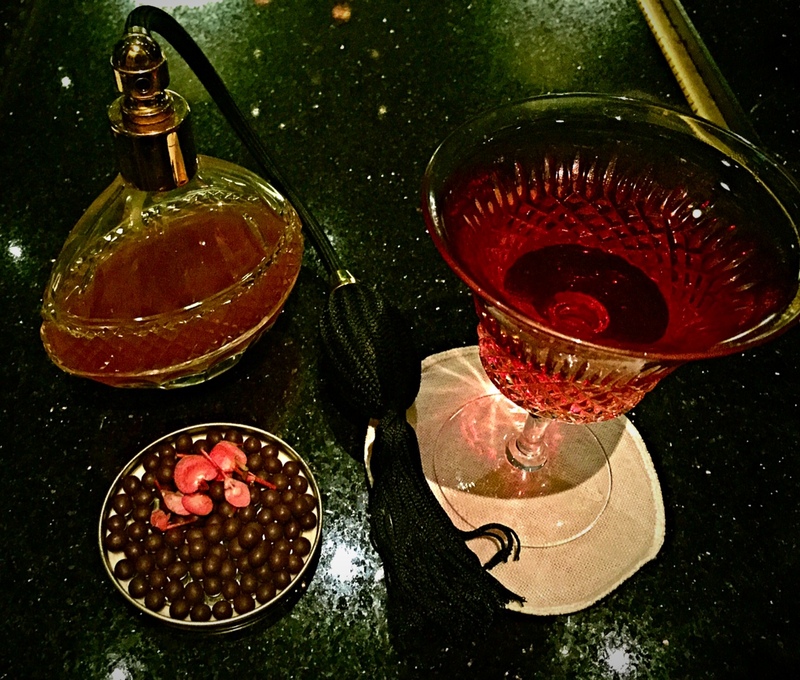 Coco – a cocktail I ordered at the Beaufort bar at The Savoy hotel in London last weekend. It was created to honor the fashion icon Coco Chanel and to “..remember the legacy she left” as it says on the menu. The cocktail ingredients were: Grey goose vodka, Lillet Blanc, 2006 vintage of Moët et Chandon, Chateauneuf-du-Pape reduction. Served (apparently) in an original glass from 1923, with chocolate caviar on the side and the mysterious house Chanel No.5 in a spray bottle. What can I say.. A pleasant drink, not to sweet not too sour not to strong not too… anything really. And actually not that special as it is presented to be. Is it worth £25? God no. The way I see it, it is a lovely marketing attempt to make customers aware that Coco Chanel used to stay at the hotel and to celebrate the fashion icon. And is it rather targeted at a fashionista who had spent a whole day shopping and would like to finish her evening in style and in spirit of fashion. I however, will stick to a proper glass of good old Chateauneuf.